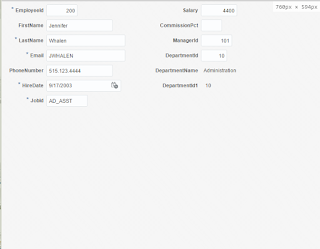 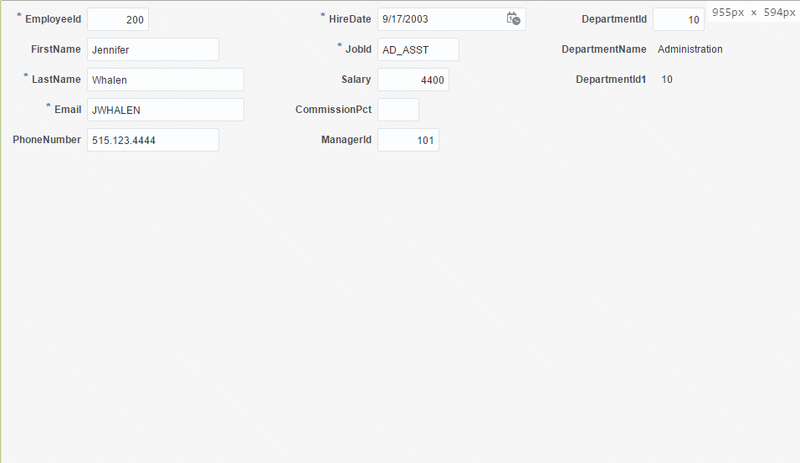 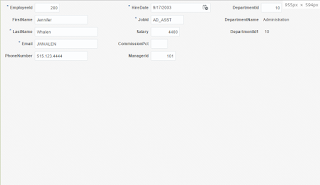 In this example I am going to use a simple form based on Employees view object from HR Schema. 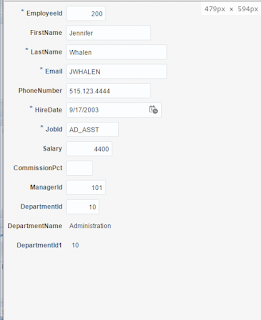 We are going to change the number of rows of the panelFormLayout to 7 when the screen with is less than 900px and we will change it to 15 if the with is less than 750px. 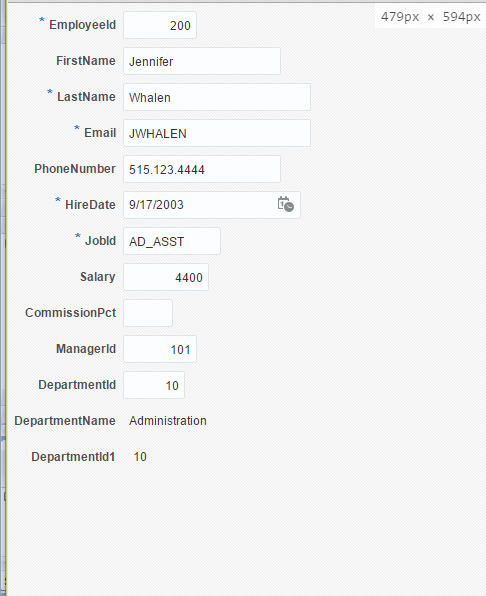 this will work fine as u mentioned in my desktop browser window. 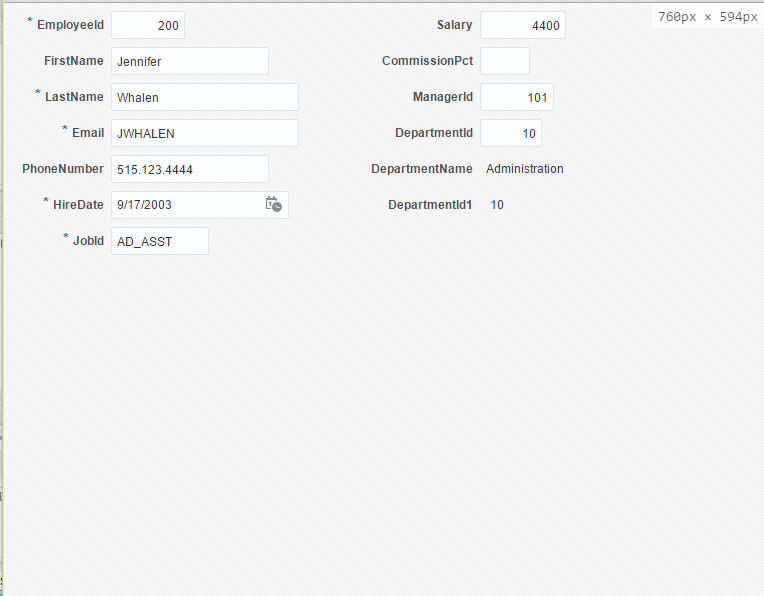 working fine on my desktop browser window.